It’s hard not to fall in love with a bag every season. But if you want to find the one that is perfect for you, you need to consider a few things. As you might already know, I’m not the buy-a-new-bag-for-each-trend kind of girl. When I’m looking for something, I usually have very specific expectations and I usually take quite some time to find it. But I have never made a bad buy that I regretted or that just laid around unused. Budget, Design, Size, Material, Straps and pockets. I often hear people say that they do not have the means to buy a luxury bag. So instead they buy a lesser quality product that inevitably breaks down after a while and they replace it with yet another cheap bag. Might seem like a good idea to have a new bag every couple of months? Remember that in the long run, you have spent more money and have nothing to show for it. So when you decide on what you want to spend, think longer term. This doesn’t mean you can’t find a good quality bag at a reasonable price! And not all expensive luxury bags will last a lifetime. Trends come and go. But good designs are timeless. Well-made and well-designed bags from your grandma’s time will look stunning even today. Designs, decorations or even colours that are super trendy now, will look very dated next year and definitely in 5 or 10 years from now. ruffles, rosettes or just overly feminine decorations; you are not a child. You might think “Cute” today, you will come to think “Why?” in a couple of months from now. Trust me. contrast stitches or applications; good design is subtle. Showy and loud finishes or add-ons seldom stand the tests of time. In addition, they are distracting, make flaws visible and often show dirt better. In short; it is never a good idea. flashy colours; although there are few good examples of bright coloured bags; 99% of the time, poppy colours are quickly outdated and mismatching your wardrobe. excess hardware; you don’t want chains rattling as you go. Decorative chains, rings, clasps and the lot are best kept minimal. all-over print. Yes even when it’s an expensive logo printed all-over. Yes, definitely when it’s flowers or animal print. That you can’t see stains on them is not an excuse. Obviously, depending on when you’re planning to use your new handbag, you will need a different size. Too big and everything will get lost, too small and you’ll need to carry a second or even third bag. For me personally, there are only 3 different sizes of bags that I would need for all moments of use. Daily essentials: would fit my wallet, keys, phone, charger, a lipstick. Going out: I don’t need much when I go out, just a smaller version of my daily wallet, my keys and phone. Select which of these three you need and stick to it. If you find a bag that looks good but is either too small or too big, you know you’ll never use it. Put it back. The material of which your favourite handbag is made of is not only determining the look, it is very important when you consider durability. 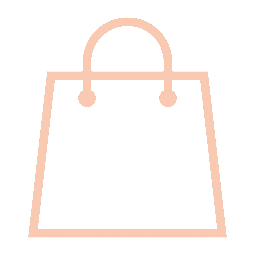 Some bags are made from textiles or materials such as tarpaulin, paper or cork. Even though these materials might be good and sometimes sustainable alternatives to leather, most handbags are made of either genuine or faux leather. These two come in a lot of different compositions and finishes. Each comes at a different price and will have a different look and lifespan. For more detailed info on these, read my article about leather here. Genuine leather is more expensive but can have a long lifespan if treated well. Generally, the leather becomes even more beautiful over time. It is strong and can be repaired or restored fairly easily. Faux leather is cheaper but cracks and peels within only months of use. It can not be repaired and once ugly and worn, bags in faux leather are only trash. Always imagine how you will be using your handbag and different situations you’ll be in. Are you cycling to work and walking for a night out? If you buy a clutch without an additional organizer, you know you’ll manage. You won’t be carrying that much in your clutch anyway. But if you are going for the shopper and there is no interior pocket or attached keychain, keep in mind that half of the time you’ll be looking for your keys or wallet. If you are more composed than I am, you can also consider a classy handle or a clutch. Ms. Bay sells separate handles and straps; you can mix and match and adjust your bag for the occasion!